KIA's New Year Special Offers range from £1,000 discounts on cee'ds, Souls and Rios to £2,000 off Sorentos, or an up to £3,000 'loyalty bonus'. The tiny Picanto is available with up to £1,250 off the retail price, meaning the entry level ‘1' three-door starts from just £7,795. The Rio hatchback has up to £1,000 customer saving and the Venga B-MPV has a £1,600 saving on the entry level ‘1' and ‘1 Air'. All other Venga's have a £1,000 saving. The Soul is also available with a £1,000 customer saving across the line-up meaning the entry level 1.6 GDi ‘1' starts from just £12,800. Kia's big 7-seater SUV, the Sorento, starts at just £24,695 with a £2,000 saving (this £2,000 is available on all models), amking it cheaper than many medium SUVs with much lower towing capacity. A top-level ‘KX-4' 2.2 CRDi 194bhp six-speed auto seven-seat model has been added to the Sorento line-up. With 19-inch alloy wheels, Parallel Park Assist, driver's memory seat, two rear sun blinds and a silver front grille as standard, this standout model is also available with a £2,000 customer saving and starts from £34,495. Savings on cee'd models are an up to £1,000 saving for new customers on the cee'd five-door, pro_cee'd and Sportswagon, whilst existing Kia customers are entitled to a loyalty offer of up to £3,000 in lieu of all other offers. 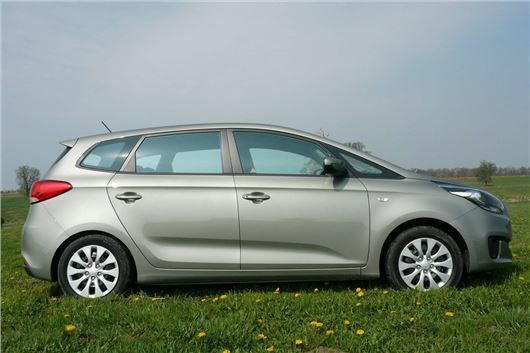 The cee'd line is eligible for a £1,000 deposit contribution with the 4.9 per cent PCP deal from Kia Access. All these offers exclude the GT and GT Tech models. Special edition VR7 models are now available of the Picanto, Rio and cee'd. Standard features across all VR7 models include air conditioning, alloy wheels, reversing sensors, Bluetooth connectivity and leather trimmed steering wheel and gear shift as well as electrically adjustable and heated door mirrors, USB and AUX ports and front and rear electric windows (except on 3-door models). All models in the VR7 range are available in white, silver, black and red. Not only do VR7 models offer a great level of specification but also a great deal - with prices starting from just £8,795 for the Picanto 3-door, with a £750 customer saving. To top it off all VR7 models are available with Kia's Care-3 all-inclusive servicing package that includes the first three services for just £99. The new 2014 Sportage is available to pre-order from January with vehicles arriving in dealerships from February. They feature a revised grille design and a rear combination light restyling that offers enhanced illumination and therefore better visibility. New-style alloy wheels and a shark-fin antenna finish off the exterior changes. Inside, the 2014 Sportage benefits from a new soft ‘nano' paint finish on the dash and centre console as well as new-style instrumentation and a premium Infinity audio system fitted to high-end models. New technical features have also been added to the 2014 Sportage - Trailer Stability Control is fitted as standard and Kia's Flex Steer system and Tyre Pressure Monitoring System (TPMS) is fitted to selected models. The Carens 7-seat MPV is available with a range of customer offers. All derivatives are available with 4.9 per cent Kia Access PCP and Conditional Sale finance offers. A £750 deposit contribution is available to new customers whilst all petrol models get £1,500 off the list price and diesels get £1,000. Current Kia owners benefit from an up to £3,000 loyalty offer. To make getting into a new Kia even easier there's 4.9 per cent PCP from Kia Access, as well as 4.9 per cent Conditional Sale finance across the entire range and even zero per cent finance available on Venga and Soul models. Picanto and Rio ‘1' models are eligible for a £250 and £350 Kia Access deposit contribution respectively.